Beach View 208 Barbados. 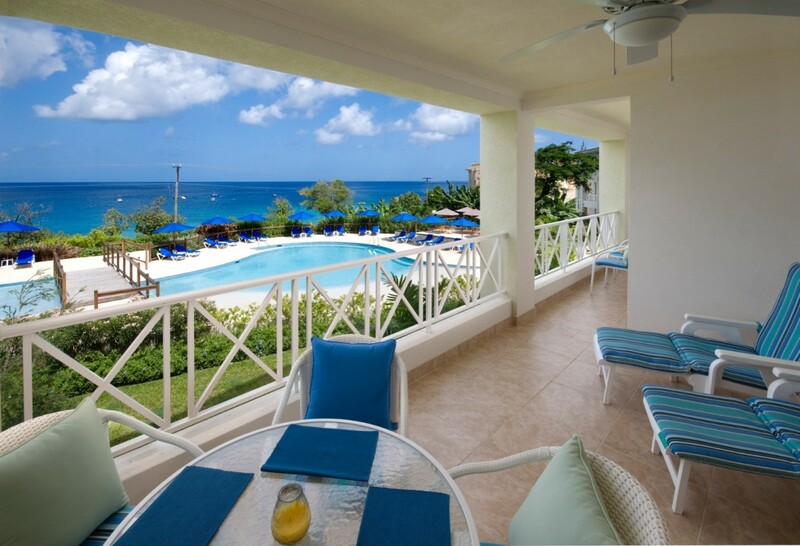 Beach View is an exciting gated condominium complex on 3 acres located on Barbados’ famed West Coast. The elevated position affords views from each apartment of the turquoise waters of the bay and excellent swimming is merely steps away. On offer is Apartment 208, a spacious two-bedroom unit offering air-conditioned bedrooms with en suite bathrooms and well appointed open plan kitchen and living area. 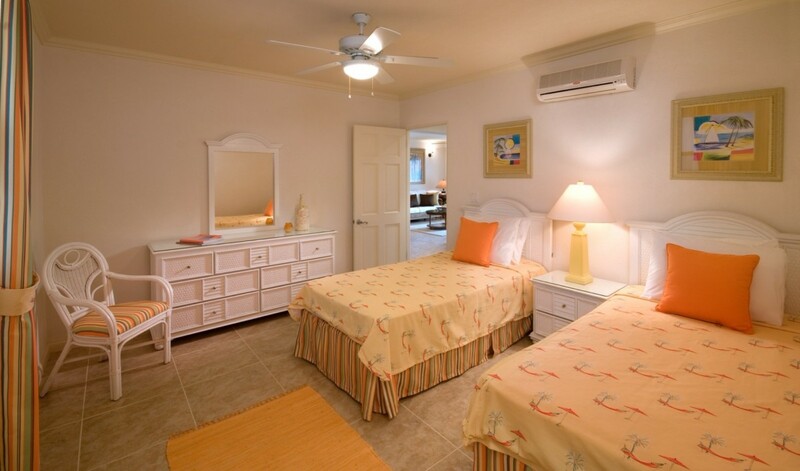 The master bedroom offers a king-sized bed, and a terrace with views of the Caribbean Sea beyond. The second bedroom offers twins beds. Dining can be indoors at the formal dining table or out on the covered terrace while looking out to the horizon. Sunbathe on the pool deck of the large freeform swimming pool while the children frolic in the children’s pool or enjoy a snack from the on-site bistro style café. 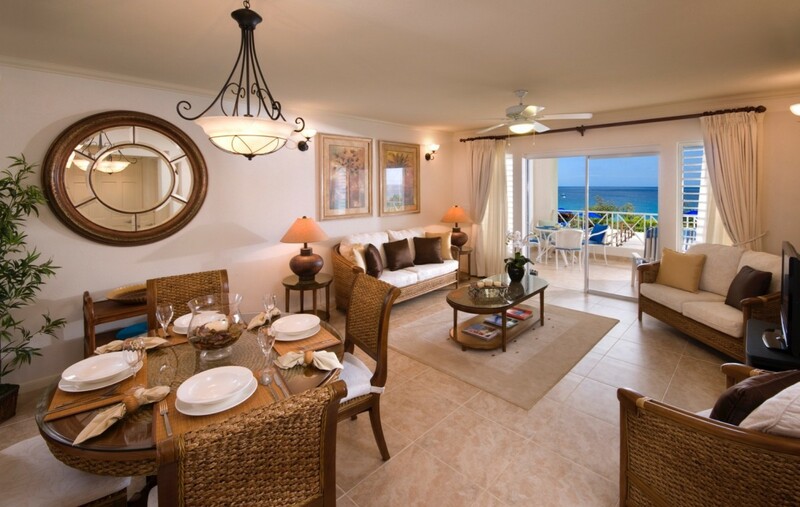 Beach View 208 is the ideal location not only for families and friends but also the savvy business traveler looking for a relaxing escape. We were delighted with the apartment. The little extras provided by Cari upon our arrival were very thoughtful, especially the chilled face towels were much appreciated after a long trip. Gorgeous! 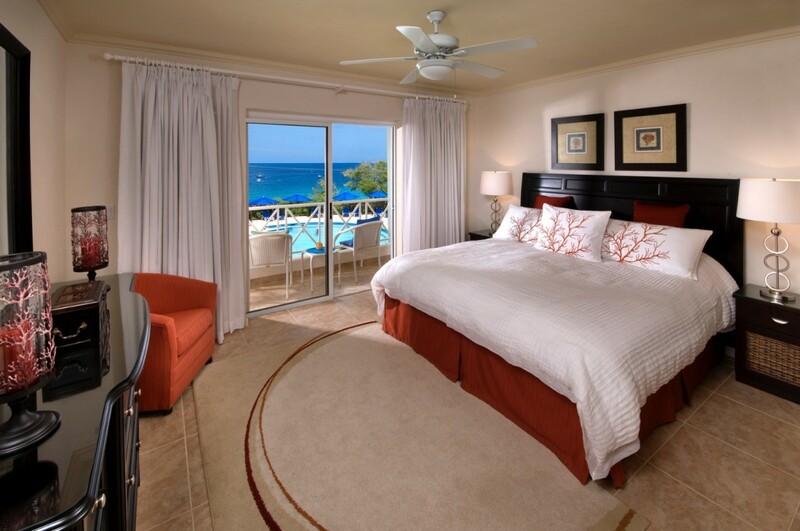 Beach View was the perfect place for us to get a mix of comfort, ocean view and access, and the local experience. The property was very well maintained and comfortable, very clean, and Cari was a clear and proactive host. She even offered to have groceries delivered for our arrival! We decided to extend our stay, and when we hit a snafu in planning, Cari replied with courtesy and kindness and the flexibility we needed. Thank you Cari! We will certainly come back and stay again! "Isle Blue were fantastic in every aspect. I’ll definitely use their services again and am already trying to decide which one of their stunning villas/destinations to visit next year. "